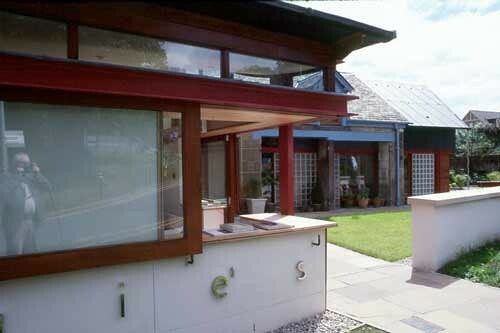 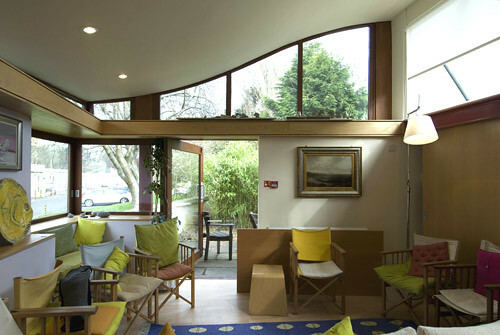 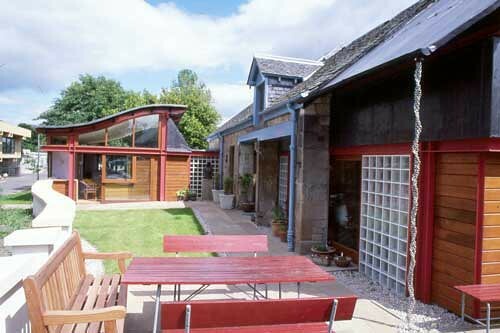 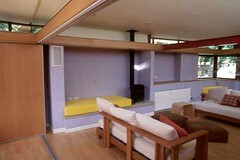 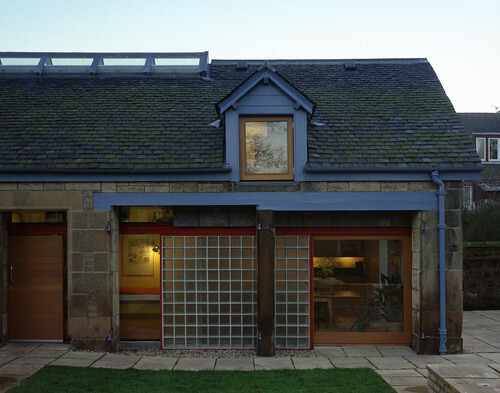 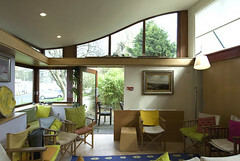 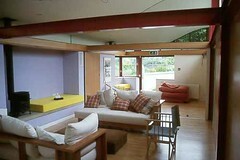 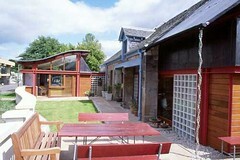 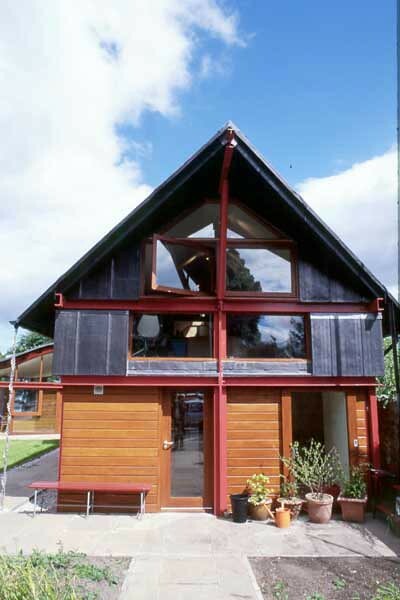 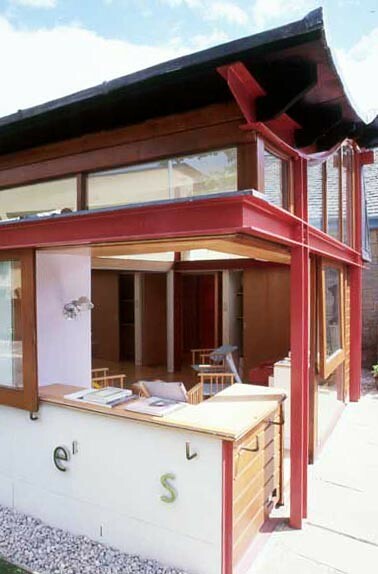 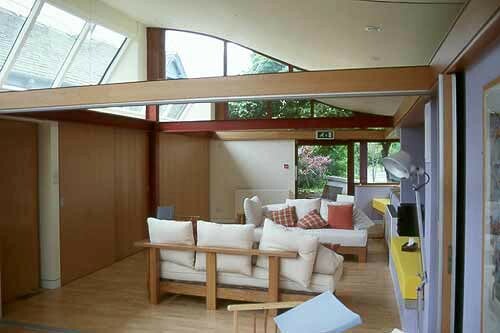 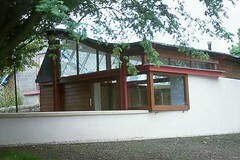 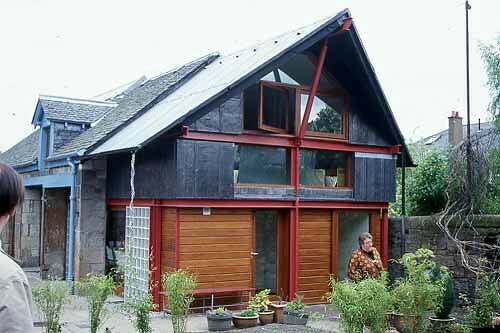 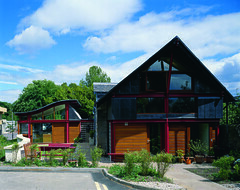 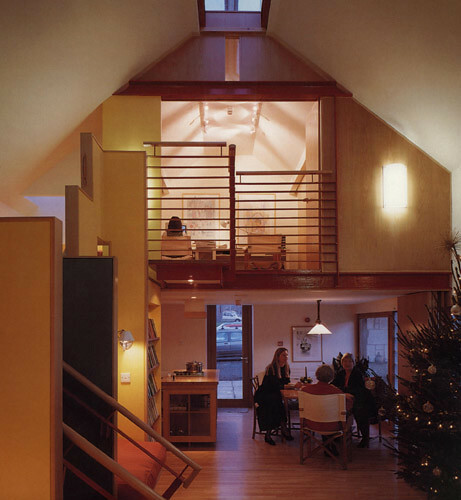 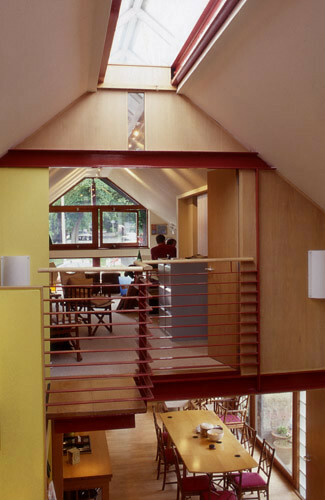 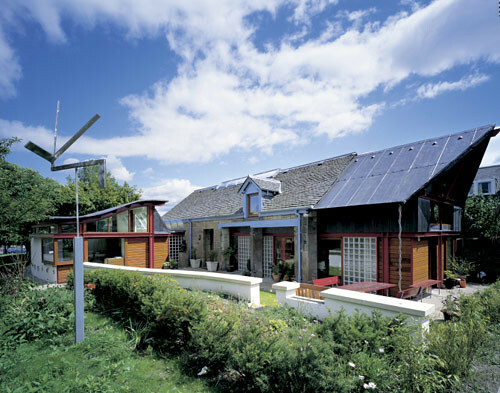 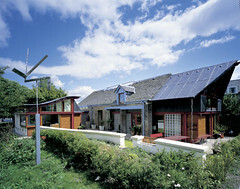 Our project for the first Maggie's Centre was completed in 1996. 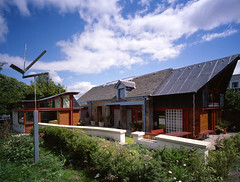 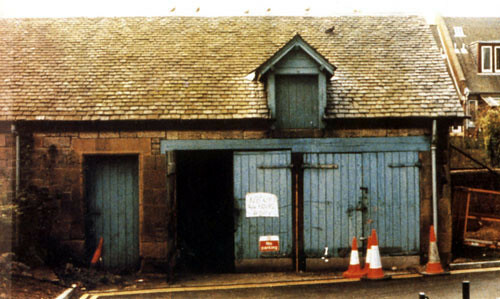 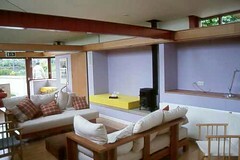 An extension was commissioned five years after and completed in 2001. 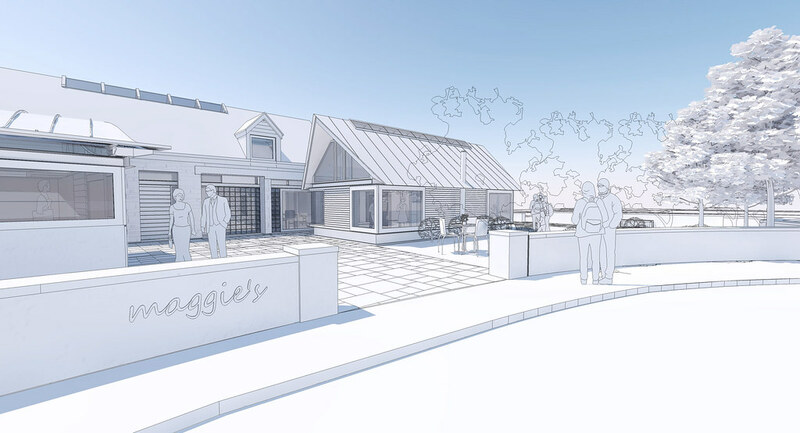 Maggie's Centre at the Western General Hospital is the inspiration of the late Maggie Jencks - her vision was for a place cancer sufferers could go to get help and solace as well as access to independent and alternative sources of advice and treatment. 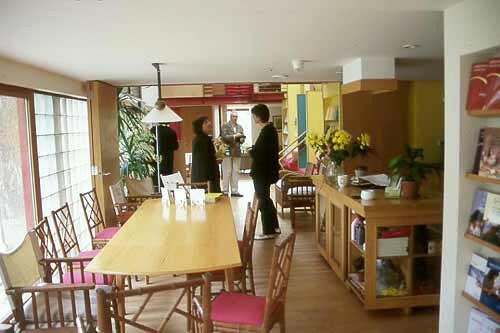 Activities range from single and group counselling, beauty therapy, yoga and relaxation but above all the centre is a social meeting place where experiences can be shared. 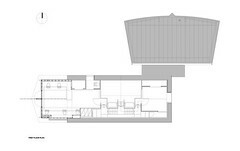 The brief was, to a degree, indeterminate, and developed through close liaison with the client. 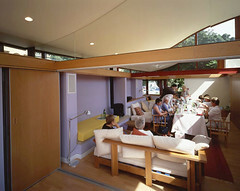 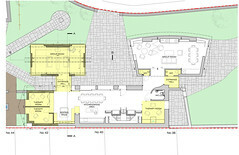 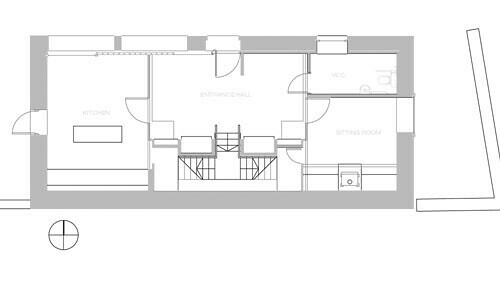 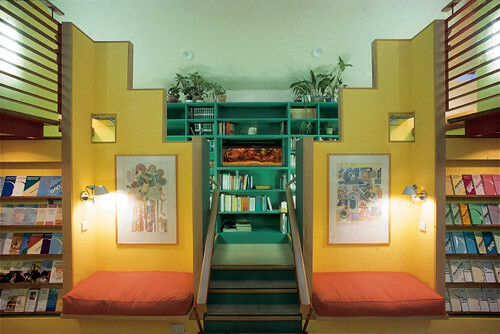 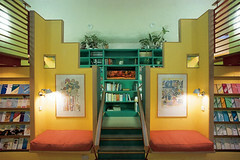 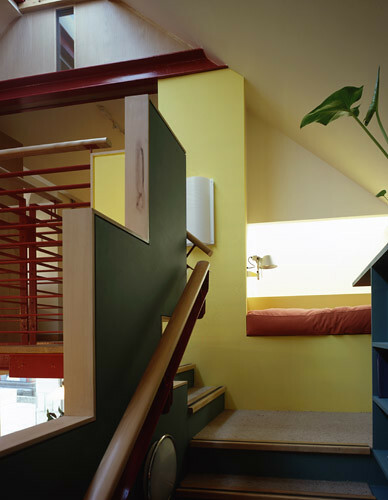 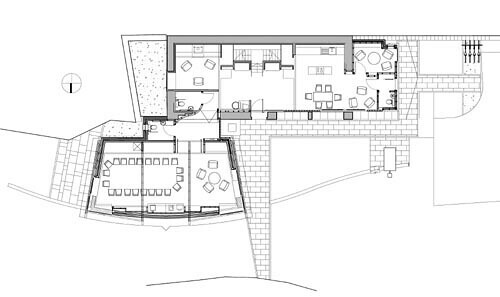 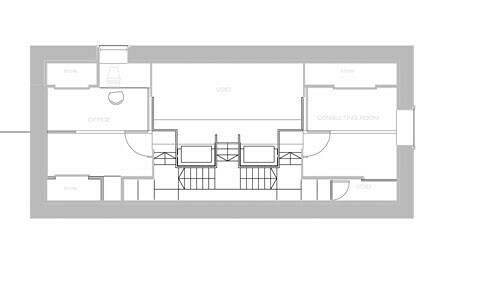 The design aimed to create firstly an atmosphere of domesticity (in contrast to the institutional nature of many National Health Service buildings) and secondly, to create as much accommodation as possible within the limited volume available and to make it transformable in its spatial division; the centre is capable of being combined into a series of progressively larger spaces or divided into individual rooms. 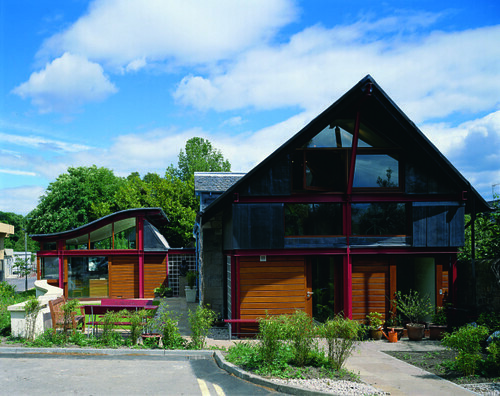 Externally the construction is viewed as a building within a building with a new inner language of steel, lead, glass, glass blocks and timber sliding behind stone. When the extension was commissioned this existing language was extracted in both directions to continue the language. 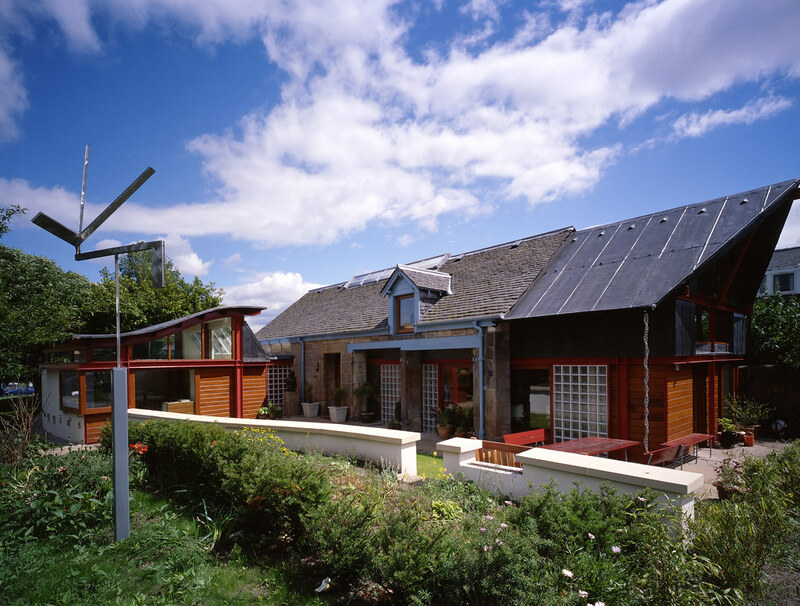 Since it opened in November 1997 Maggie's Centre attracted a large number of visitors and friends and the range of activities available widened considerably. 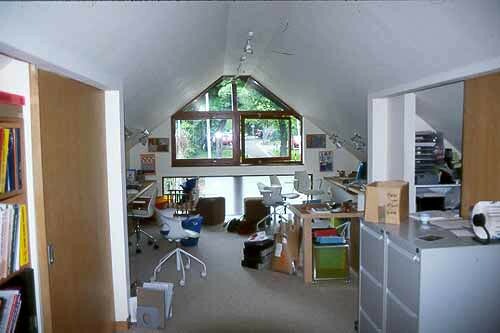 During that time the need had become apparent for a series of meeting rooms for larger groups or more strenuous activities. 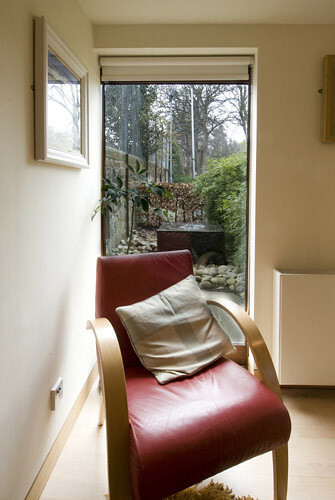 The additional accommodation required two large meeting rooms, a consulting room for visiting therapists and a permanent office. 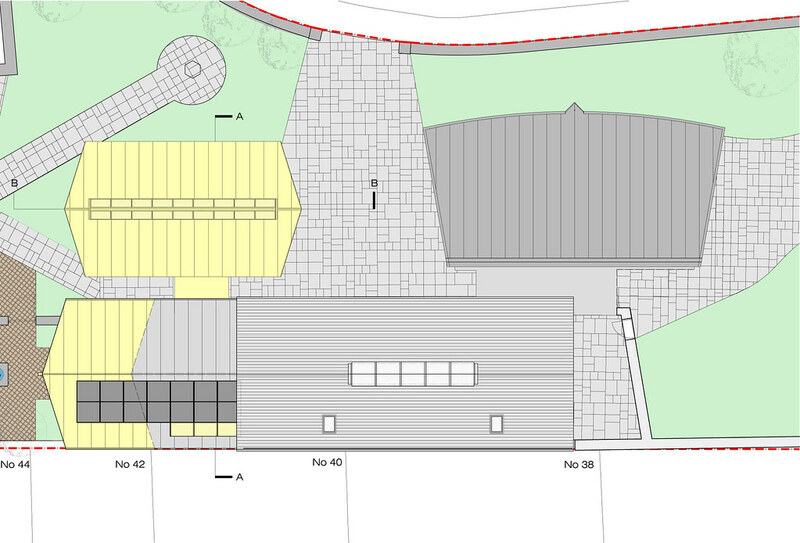 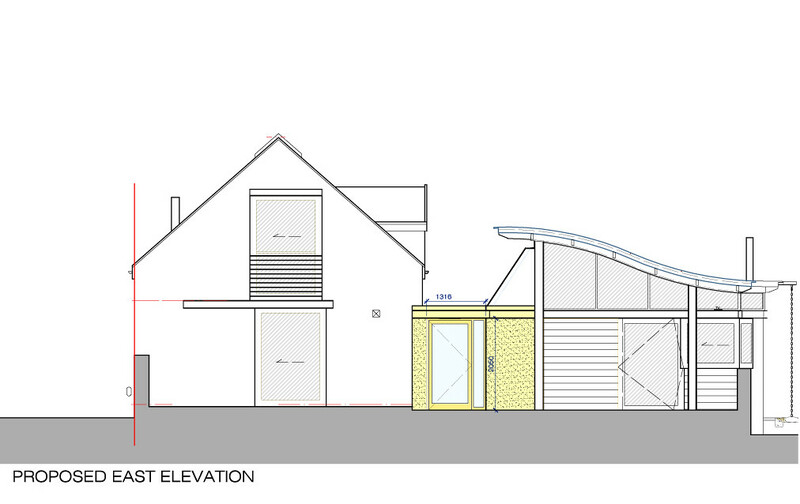 While the new extension doubles the floor area of the centre, it is designed to preserve a domestic scale. 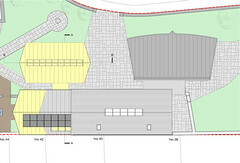 All the activities of the new area are visible from the original centre space, which still functions as the front door to the centre. 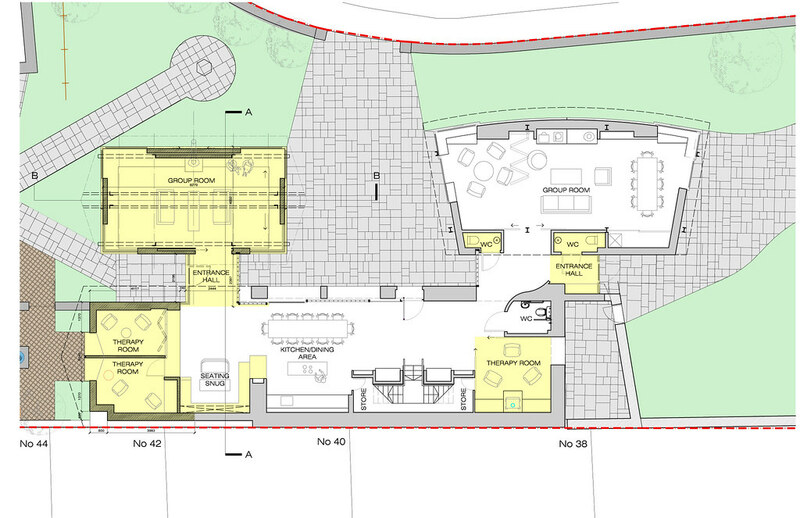 The extension is in two independent directions to the west and to the north east. 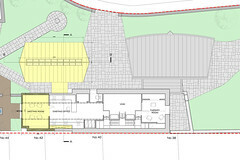 The western extension is two storey with administration on the top floor and additional consulting room on the lower floor. The extension to the north east is conceived as an independent but linked building to the original. 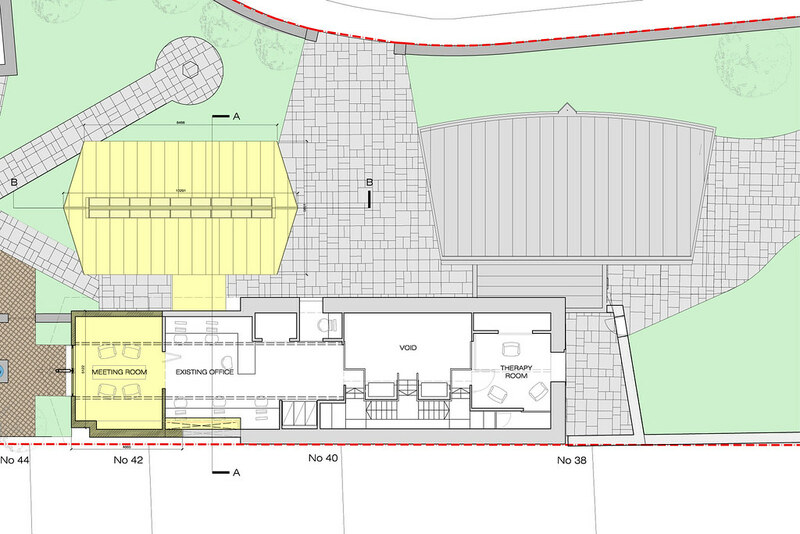 This is a single volume which can be divided unequally and extends with a rendered retaining wall along its northern boundary to form a terrace on the eastern side and a boundary to the garden on the western side. 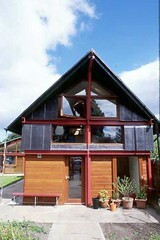 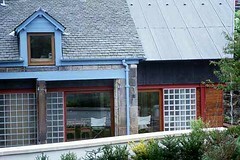 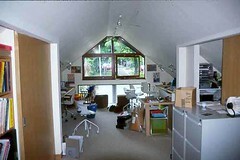 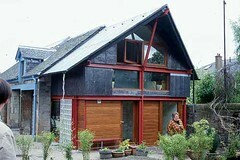 Again, the materials are the same as the other extension with a lead roof, steel framing and Douglas Fir framed windows. The monopitch roof is designed to admit south light into north facing rooms whilst its sinusoidal form deliberately avoids any conversation with the roof pitch of the existing building. 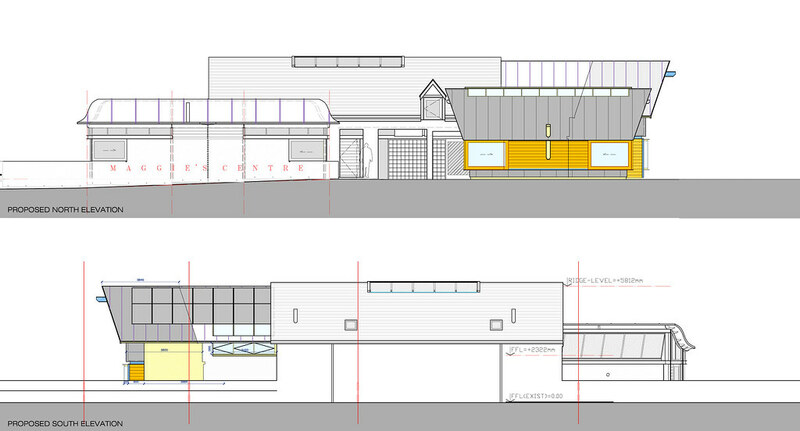 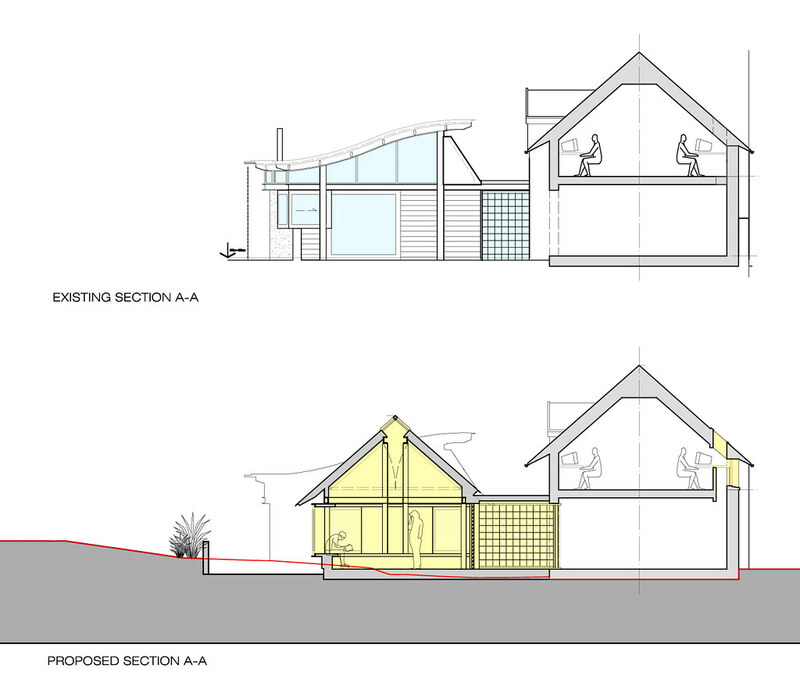 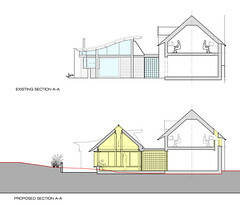 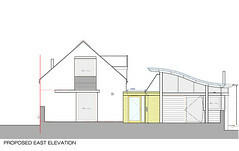 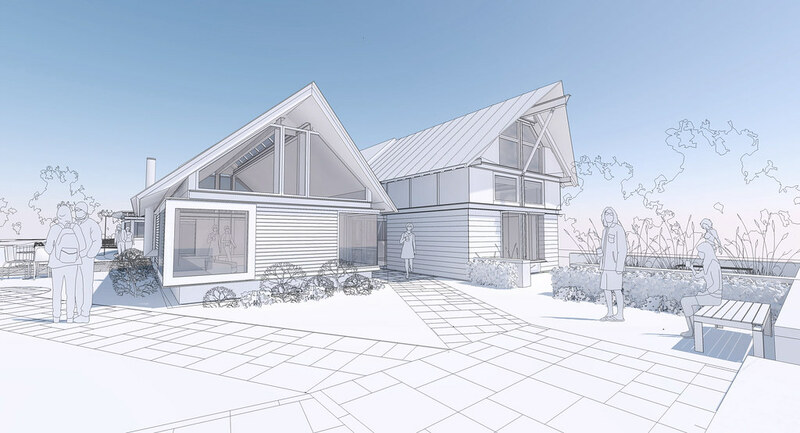 Details of the proposed extension can be seen at the end of the thumbnail images.